“It could hardly get much rounder” is the first thought that comes to mind when one considers what is currently to be encountered in cities and on popular internet sites. Many of the fonts that we see around us used as logos, on posters, banners and hoardings look as if they have been subjected to the attentions of a sander. Top German brands (such Rewe, Otto, Vaillant and tegut) have decided to ’soften’ their image in recent years. Rounded fonts are at present both popular and ubiquitous. But rounded fonts are rather like flared trousers and kidney-shaped tables - after a while, things that are flavour of the month tend to fall out of favour although sometimes they manage to make a comeback. There are definite ups and downs to be seen in the popularity curve of rounded fonts throughout the 20th century, whereby their heyday was in the 1970s and 1980s. But not all of them fell from grace: the logo used for the long-running German TV entertainment show Wetten dass...? (’You Bet!’) has remained (largely) unchanged for more than 30 years. In the 1970s, it became common practice not only to give all designs a rounded finish but also to round the corners of table borders. Even paper was cut in such as way to ensure that its corners were no longer sharp. Of course, fonts were also influenced by this passion for curves and several rounded versions of grotesque typefaces were created. For ITC, for example, Ed Benguiat designed ITC Souvenir in 1972, a revival of an older American font originally conceived by Morris Fuller Benton in 1914. Despite its somewhat unusual shapes, one of the first uses of the font was on tax return forms. Another typeface that did not have rounded corners but was otherwise fully in line with trends was ITC Bauhaus dating to 1975. When it comes to this synthetic grotesque, the underlying geometrical forms are completely round, as in the case of Pump and the 1970 Blippo by Robert Trogman. And ITC Benguiat Gothic from 1979 is another follower of the fashion for rounded fonts. The popularity of rounded fonts in the 1970s and 1980s resulted in an absolute deluge of commercial image rebranding. In 1973, the German TV broadcaster ZDF based in Mainz was given a new face by Otl Aicher who, inspired by Univers, designed ZDF Rounded. 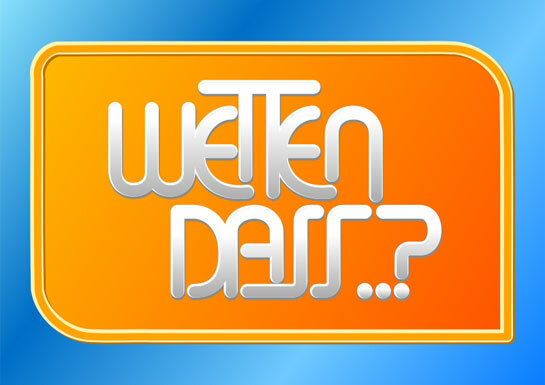 Because the resolution of TV screens of the period was relatively poor and the techniques used to display text made corners and serifs appear rounded, ZDF had decided from the outset that it wanted a rounded font. When, in 1979, the VW concern modified its corporate font, adapting the classic Futura to produce a more rounded version, the typeface that is now known worldwide under the name VAG Rounded came into being. At the same time, the oil company Aral also reworked its typeface to give it a rounded appearance. But what was the first and original rounded font? The answer is provided in Rob Roy Kelly’s book American Wood Type: 1828–1900, which contains an illustration of the uppercase Gothic Rounded that is dated to 1838. This typeface is little known, something that is perhaps due to its not quite fully geometrical curves – a feature that is probably less attributable to a conscious design concept and more to the dexterity (or otherwise) of the woodcarver. Rather more familiar, although much later, is Berthold’s rounded grotesque Bloc. 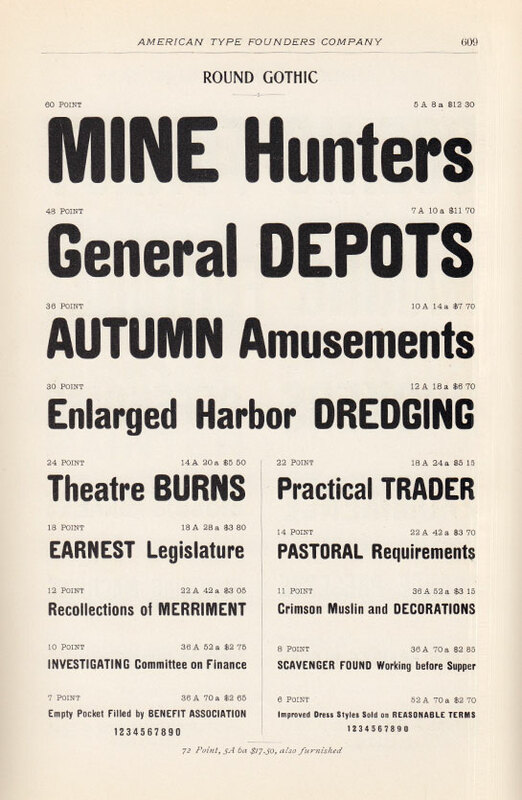 This somewhat idiosyncratically shaped font was published in 1908 and was designed to be used as a display font despite its slightly uneven outlines. This was perfect for the printers of the period - there wasn’t much that could go wrong when printing from a typeface that was already fairly rough-and-ready. It was not only grotesque fonts that got caught up in the craze for rounded fonts; serif typefaces also jumped on the bandwagon. Examples are Windsor by Eleisha Pechey (1905) and Cooper Black by Oswald Bruce Cooper (1921). The latter has become a classic and is still used today as a display typeface. 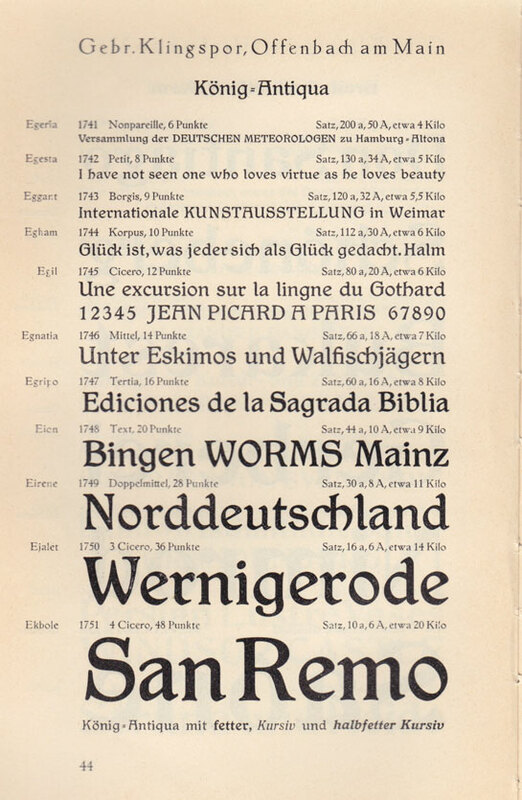 Another example of a font from the old lead type days in which the serifs were rounded is König Antiqua by Heinz König (1905)), produced by the Klingspor type foundry in Offenbach. As rounded forms can be readily combined with the design principles used for calligraphic fonts, it comes as no surprise that there are numerous representatives within this genre. Worth a mention here are the slightly older Balloon (1939) and the popular Dom Casual by Peter Dombrezian (1952). More recent are Wiesbaden Swing by Rosemarie Kloos-Rau (1992) and Vincent Connare’s somewhat controversial Comic Sans (1994). While things went a little quiet on the rounded font front in the late 1990s and at the turn of the millennium, they have become, in the age of the social web, more popular than ever. This has nothing to do with technical display problems; our current TVs and monitors can show corners with no loss of detail. It is rather that the temperament of rounded fonts perfectly matches the personal character of the social networks. The often more or less technological but still warm and soft feel of rounded fonts also encapsulates the outlook of many start-up companies. Perhaps predictably, the original logo (now no longer in use) of the microblogging service Twitter and that of the internet phone service Skype use rounded fonts, to give just a couple of examples. A current trend in web design complements this resurgence of rounded fonts. The use of larger font sizes and bright colours on pale backgrounds helps offset the intrinsically poorer legibility of rounded fonts. Now obtainable in larger numbers thanks to the availability of web fonts, there is thus nothing preventing the use of rounded fonts in web design. Of course, the current prevalence and popularity of rounded fonts are also reflected in the form of new designs issued in recent years. Many classic fonts have been revised by Monotype and supplemented with additional styles. As a result, fonts such as Avenir Next by Adrian Frutiger, Museo Sans by Jos Buivenga and DIN Next by Akira Kobayashi have been furnished with variants that have rounded corners. There are also many newly created fonts that embrace the contemporary trend. Particularly outstanding examples are the extensive Akko by Akira Kobayashi, the distinctive Klint by Hannes von Döhren and Erik Faulhaber’s Xenois Soft, a member of the Superfamilie Xenois. And then there is the very unconventional but thus particularly characterful Fruitygreen by Andi AW. Masry, a recent addition to the rounded font canon. There is another typeface trend that should not be left unmentioned and which complements the enthusiasm for rounded fonts. The currently very fashionable retro look fonts in the style of advertising script of the 1950s and 1960s are also characterised by rounded forms. Almost inevitably, modern internet platforms such as Vimeo and Instagram use these designs derived from brush fonts for their logos because retro is again the new black. In our world, which seems to be spinning ever faster, we thus comfort ourselves with what appealed to us in the past and the whirligig of time brings round to our attention once again.